September 27th was the official release date of the movie Muscle Shoals, an uplifting, invigorating, must-see documentary that debuted earlier this year at the Sundance Film Festival. Always proud of our Alabama roots, we encourage anyone who has a love of music to seek out this film, which has been hailed as one of the year’s most entertaining and enriching nonfiction movies. The documentary specifically follows the story of Rick Hall’s FAME Studio, the beginning of Muscle Shoals Sound Studio, and the ground breaking music recorded in this small town during the 1960’s and early 70’s. Muscle Shoals has since been hailed as a small town with a big sound. Located alongside the Tennessee River, called “The Singing River” by Native Americans, it was an unlikely breeding ground for some of America’s most creative and defiant music of that time. These now legendary recording studios were turning out hits that forever changed the sound of Soul and Rock-and-Roll. The film includes interviews with a wide array of artists including Mick Jagger, Aretha Franklin, Paul Simon, Alicia Keys, Bono and others as well as never-before-seen footage. Visit the official Muscle Shoals website to view the trailer and look for the movie on Demand, on iTunes and in Theaters today! Saturday, October 5th, is going to be an exciting day at Southern Accents and we want YOU to come join the fun! 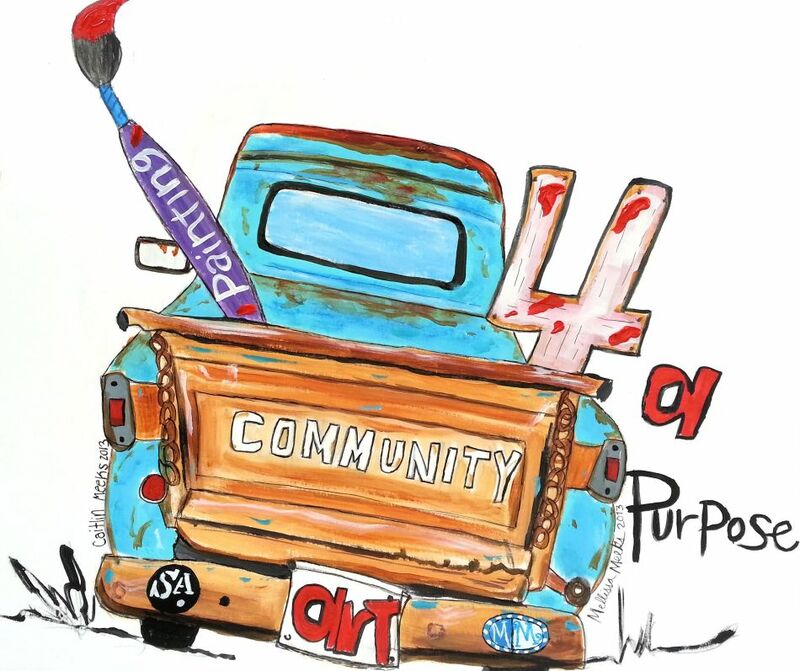 Artist Mellissa Meeks from Huntsville, Alabama will join us for a Community Art Project titled “Painting For A Purpose”. Mellissa will be painting two large works of art that will be auctioned off to the highest bidder. Proceeds from the sale of this artwork will go towards a charity that we have started to help needy children in our community. Please visit the EVENTS tab on our Facebook page for details on how you can participate in this FUN event! This work of art was created specifically for Southern Accents by Mellissa and her daughter Caitlin. Caitlin came up with the concept and we could not have been more pleased with the outcome! Mellissa Meeks is a self-taught artist whose work reflects warmth, spontaneity and a whimsical nature. She currently has two large scale works of art “Will Run With Help” and “A Few Dusty Miles” featured in The Art Council (TAC) Exhibit at the Von Braun Civic Center in Huntsville, Alabama. This artwork will be on display through December of 2013. Mellissa also has art products featured in prominent businesses throughout the United States including Goose Feather’s Cafe in Savannah, Georgia, Another Broken Egg in Destin, Florida, The Blue Giraffe on 30A, The Good Cup in Franklin, Tennessee and more! Her work includes many commercial and private commissions including illustrations for a children’s book. Her over sized art murals permanently adorn Joe Davis Stadium in Huntsville, Alabama as part of the community art project she launched in 2008. As the Director for Murals to Promote Community Awareness, she was featured in the November 2008 National Art Calendar Magazine in “Artists Making a Difference.” Most recently she was granted a Minor League Baseball licensing agreement for her work with the Huntsville Stars! 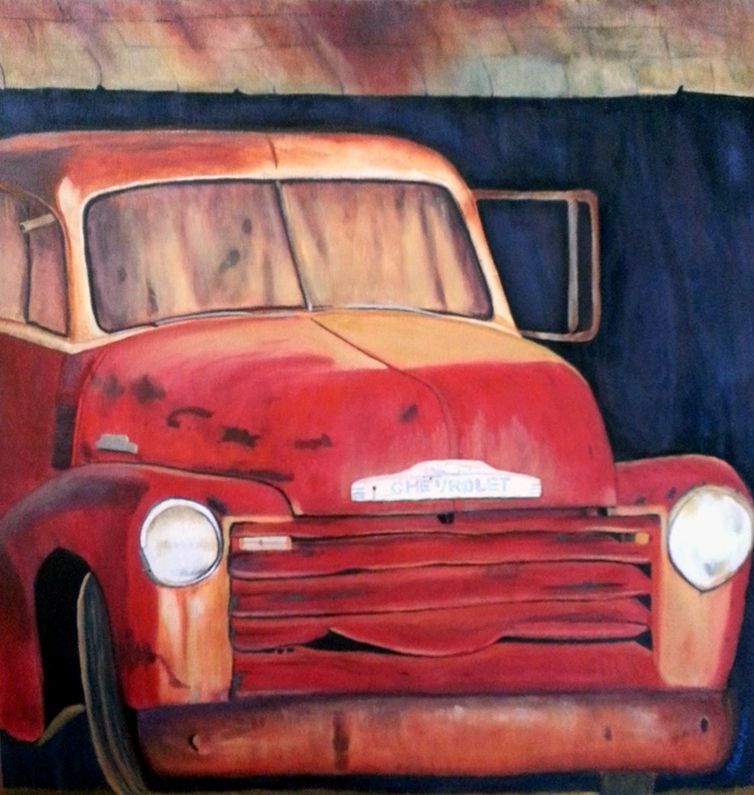 Mellissa’s work “A Few Dusty Miles” is featured in The Art Council (TAC) Exhibit at the Von Braun Civic Center in Huntsville, Alabama through December of 2013. Mellissa firmly believes in giving back to the community, actively seeking opportunities to use her talent to help others. She donates her time as well as art materials to host parties and instructional workshops to recovering cancer patients and their families. She has created exclusive artwork for multiple charities including the AMA, Arthritis Foundation, Juvenile Diabetes Foundation, National Children’s Advocacy Center, The Humane Society and others. Mellissa loves to travel and often scours the local boutiques, quaint bakeries and coffee shops looking for mementos to remind her of each trip. After leaving many a shop empty handed and disappointed, Mellissa came up with the concept of “Inner Expressions”. Her idea was to create a product line of unique items using limited edition artwork specifically designed for each business. Each work of art would be a reflection of the specific business and/or the community and only available through that business for a limited time. A business was born and Mellissa, along with her business partner Daphne Beer, went to work creating one-of-a-kind art products for shops in many high-end shopping and tourist districts. To learn more about Mellissa, her artwork, and “Inner Expressions” visit her Etsy shop or look her up on Facebook! We hope to see many of you at Southern Accents on October 5th from 9:00 am to 1:00 pm. Make plans now to join us and come Paint For A Purpose! 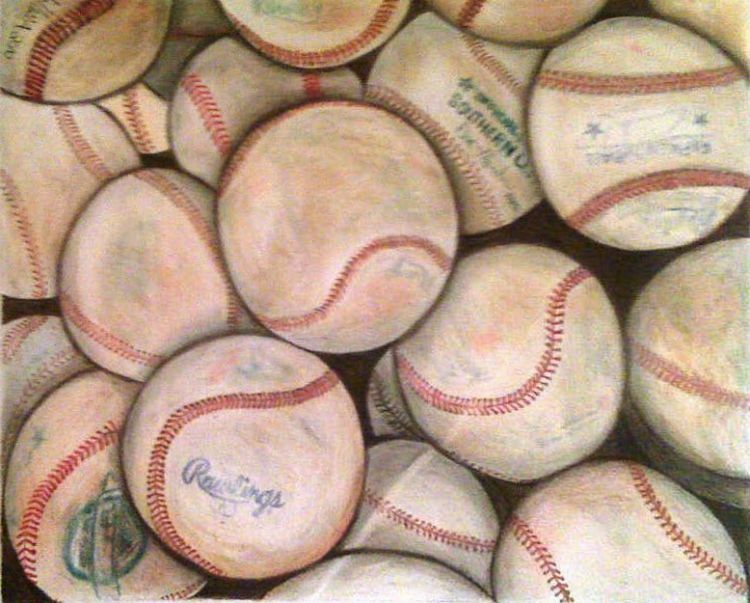 This painting, along with work that she has done with the Huntsville Stars baseball team, was instrumental in Mellissa recently being granted a Minor League Baseball licensing agreement. Southern Accents is located in historic downtown Cullman, Alabama. We are proud of our community and would not want to be anywhere else! We think a day trip to Cullman is well worth the effort. There is plenty to do around and see in Cullman that would occupy way more than one day. However, we are providing a list that will keep you busy antiquing and junking for a full day. Most of these stops are within a few blocks radius so pack your walking shoes, park your car, and hit the streets with us! A visit with us should be at the top of your list! 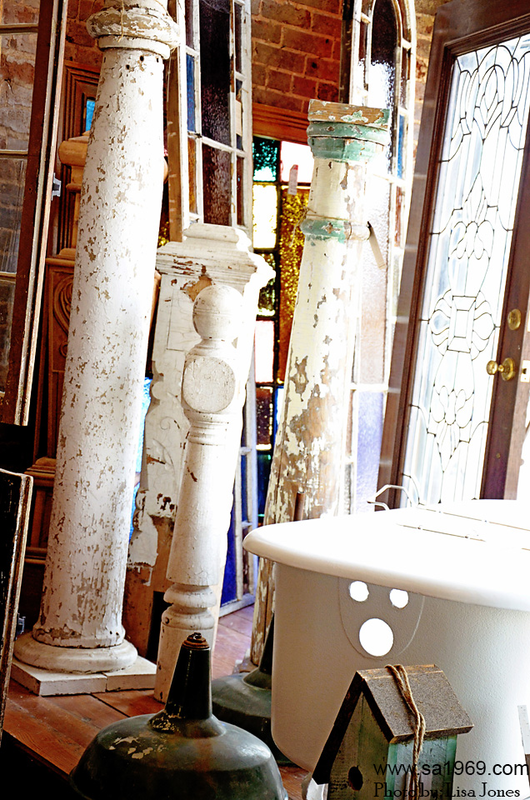 Southern Accents houses the largest collection of architectural antiques and salvage items in the Southeast. Many folks have spent an entire day browsing our showroom, warehouses and outdoor lots. 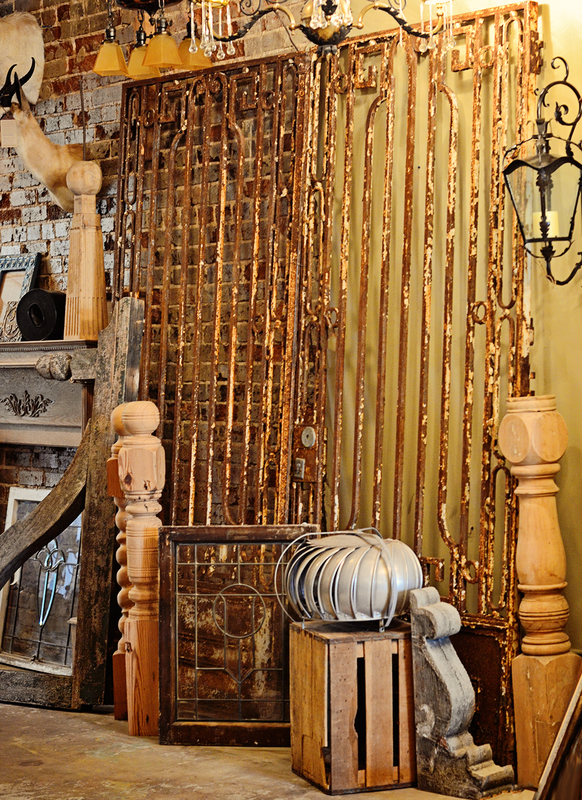 With antiques and salvaged goods tucked away in every nook and cranny… there’s a lot to see! 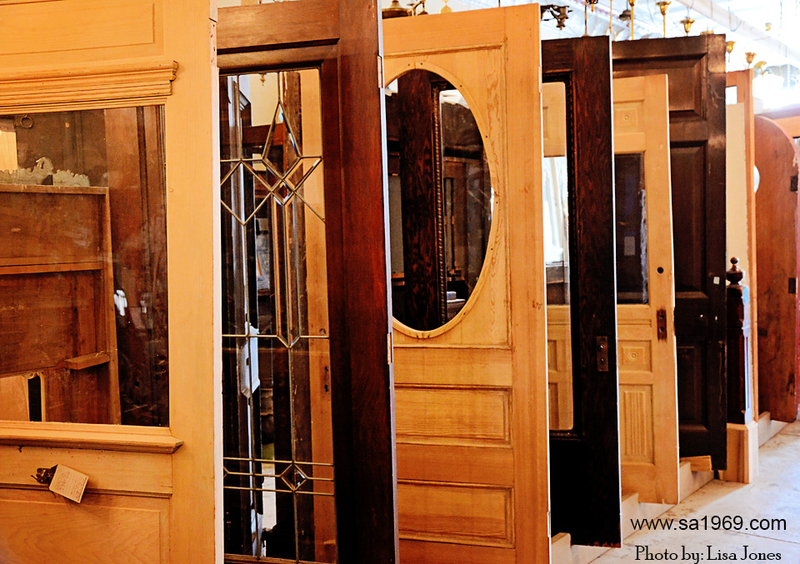 Come browse through our collection of antique doors, mantels, chandeliers, clawfoot tubs, ironwork and more. Our friendly team will be waiting to show you around! If you love antiques and vintage goods, and we know you do, there are several shops, most within walking distance, that you will want to visit. Located just around the corner from Southern Accents, 3rd Street Promenade offers a wonderful selection of art and handcrafted jewelry and gift items from established as well as emerging local artists. Their shop is located in a beautifully restored building with 100 year old exposed brick walls. This unique gallery/shop is a treat to feed the artistic soul and must not be skipped! Voted the best coffee house in Alabama in 2012 by Alabama Magazine. Drop in at Moe’s for their mouth watering menu of smoked pork or chicken and awesome sides! Rumor’s has been featured in Southern Living and is included in Southern Living’s book “Off The Eaten Path”. Wonderful bakery featuring made-from-scratch French pastries. Home cooking and local brew. Serving burgers and fries since 1919! Home of the famous orange rolls! Great atmosphere and awesome pizza and pasta. As you visit the businesses on our list, please be sure and let them know that Southern Accents sent you! We appreciate our customers and know that these other downtown businesses will as well. There are a variety of other unique shops in the downtown area. If you are looking for shoes, women’s or children’s apparel, gift items and more, just let us know what’s on your shopping list and one of our team members will be happy to point you in the right direction! Everyone’s favorite corner! 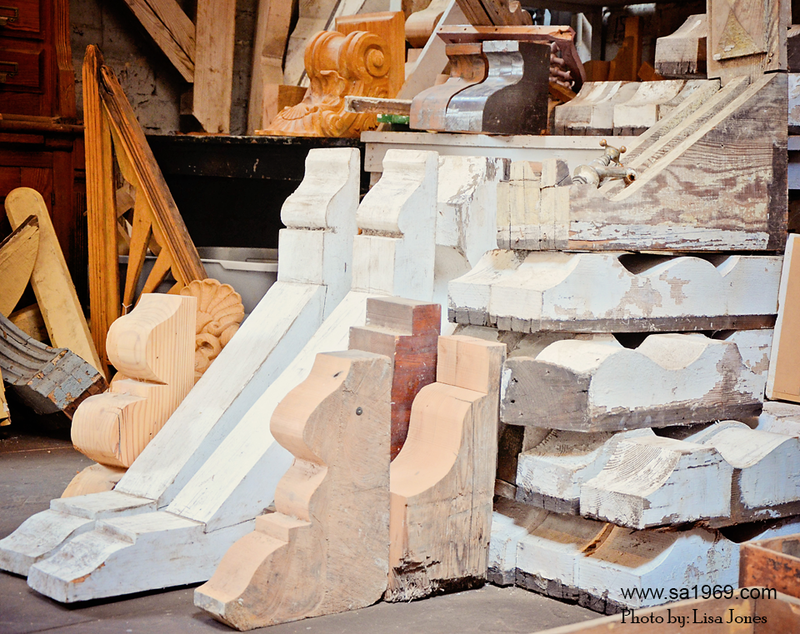 This corner of our warehouse is where you will find beautiful wood corbels. 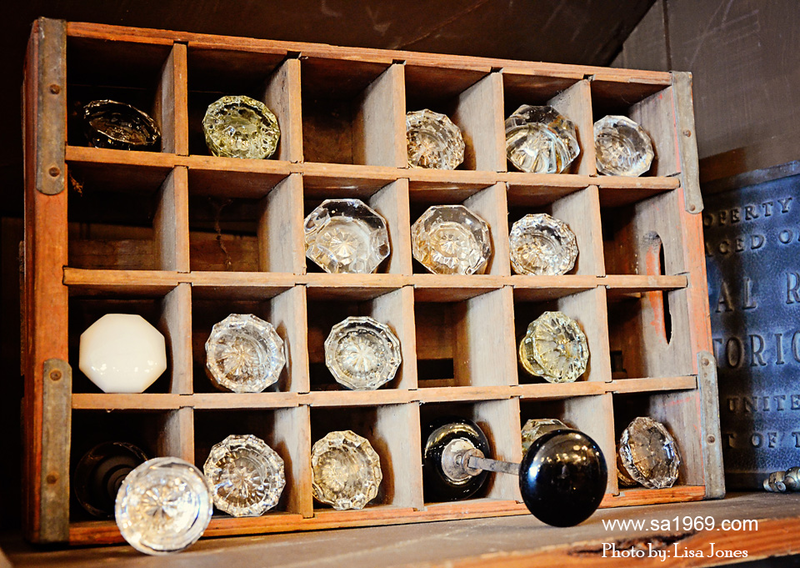 We have hundreds of antique door knobs available! When browsing our showroom, don’t forget to look UP! 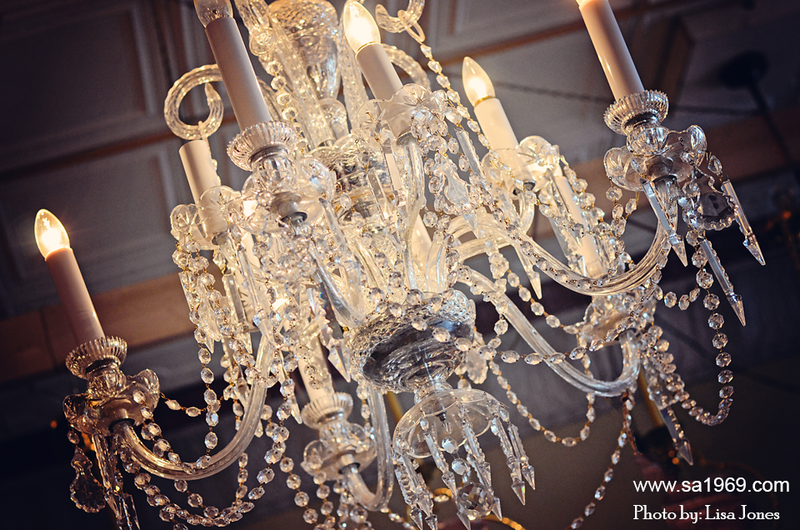 Our collection of gorgeous chandeliers and antique lighting hang from the ceiling throughout our showroom. 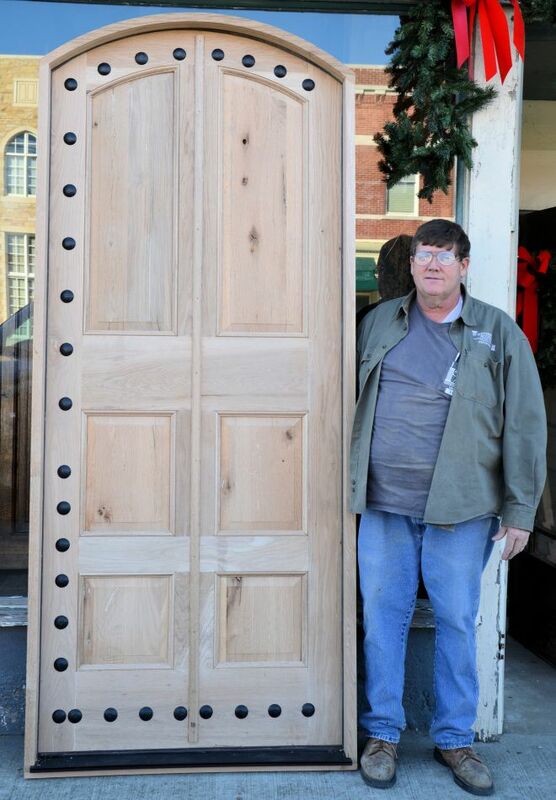 Looking for doors… we have a huge selection of interior and exterior, solid wood, antique and salvaged doors, available in a wide variety of sizes. Southern Accents has the largest collection of architectural antiques in the Southeast. Plan a visit soon! Those of us past a certain age have most certainly started more than a few sentences with, “When I was young…” For example, when I was young, we didn’t have trash pickup. We took what little trash there was to the burn pile. We didn’t burn much because there was little waste. Most of our food came from the garden or the pasture. Many of the items that were purchased from the grocery store were packaged in reusable containers such as cloth sacks or glass jars. Most everything was recycled… we just weren’t aware of the fact that we were recycling. Recycling was not something that we thought about. It was simply a way of life. Nothing went to waste. Today a garbage truck hauls off several large bags of trash from my home each week. When did we turn into a throw-away society? Working in an architectural salvage business has made me more aware of the things that I do throw away. The phrase “one man’s trash is another man’s treasure” has taken on a whole new meaning. I now feel a pang of guilt over those old wooden shutters I pulled off my house a few years back and tossed. They could have been repurposed into some really cool items. 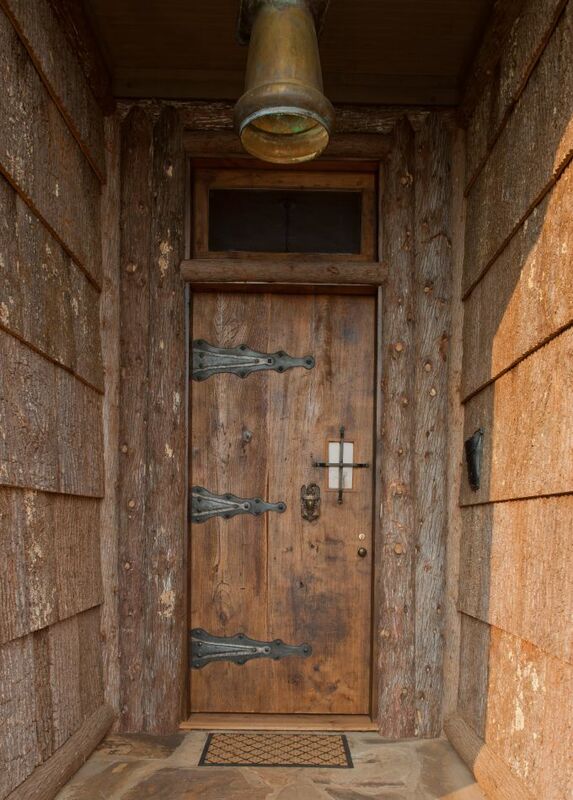 I look at doors, floors and light fixtures in a whole new way. If something is broken, fix it. If it can’t be fixed, find another use for it. Recycling is not a new concept… it is a former way of life that we have traded in for the conveniences of a fast paced society. Those conveniences are slowly filling up our landfills and polluting our environment. Reduce, reuse, recycle is not a new concept… it is one that we need to readopt. Southern Accents has been in the recycling business for 44 years. We were green before “being green” was cool! 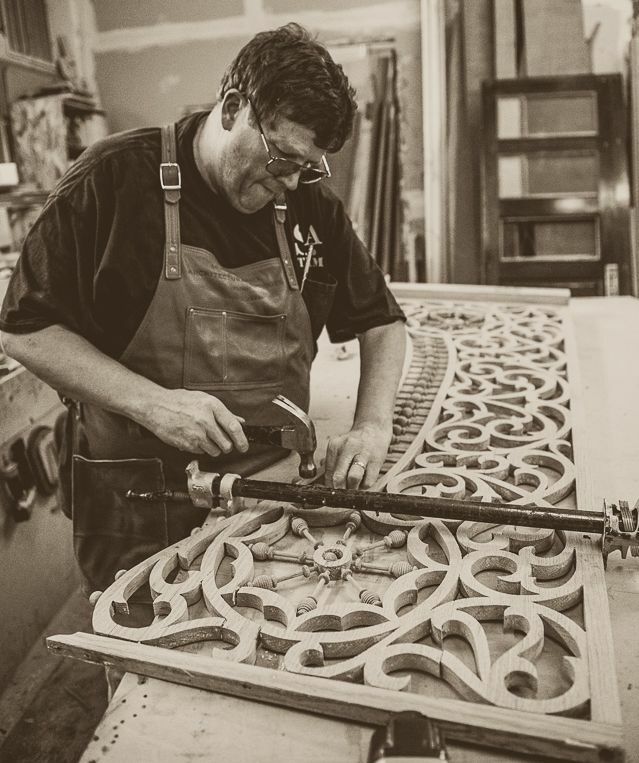 We’ve been saving and salvaging architectural elements since the 1960’s. What started out as hobby, over the years, has grown into the largest collection of architectural antiques in the Southeast. “We save old stuff” is not just our motto, it is our way of life. Our customers, who come to us from across the country, recognize the need to be environmentally friendly. They are keenly aware of the difference just one person can make. They appreciate the charm and patina created only by time. They are also conscious of the importance of preserving elements of historical content for future generations to enjoy. Without them, we could not continue doing what we love. With them, together, we can continue to make a difference… one salvaged item at a time! If you’ve never been to Southern Accents showroom, we invite you to stop in for a visit or browse our website. Take a look at the beautiful and unique finds that we’ve collected and join with us in our effort to make a difference. 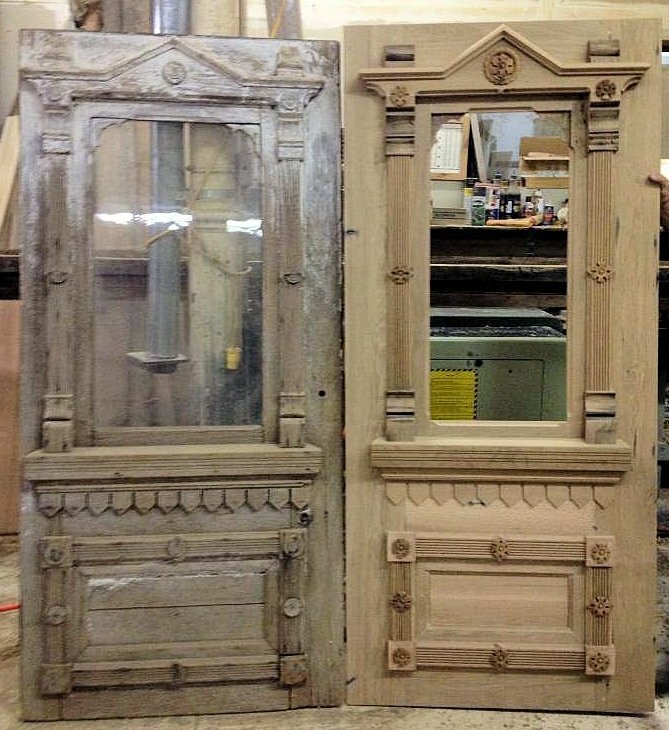 Consider reusing or repurposing salvaged architectural items for your next project.